I had a great time seeing Swale last night. They played to a small crowd who were (mostly) not watching the Red Sox win the World Series (there was a score check in the middle of the set). The low lit room, filled with colored lights and art on the walls, had some droning rock playing as Swale set up. Dressed in black, with pointy witch hats, they mixed themselves into a slowly surging Armadillo, and we were on our way. It mixed into Faineant, which built the energy without going over the top. Waiting followed with a slow burn intensity, then they kicked it into full gear with a blistering Everyone Likes To Fight. They played a cool newish tune and a slow cover that I did not know. They ramped it back up for a full on fired up Popular Crowd. The set ended. with a stunning War Pigs and they really jammed the instrumental parts hard. Part of me wanted to stick around and see what James Belizia and Heloise were up to, but she’s usually a bit more dancy, and after Swale’s stunning set, I was done. What a fantastic hour of music! Offering a frank assessment of how his fellow Republicans approach the issue of poverty, Ohio Gov. John Kasich (R) sounded a bit more like Sen. Bernie Sanders (I-VT) than a guy who stumped for Mitt Romney. Although he opposes the Affordable Care Act, Kasich broke with many Republican governors when he accepted the Medicaid expansion under the law. Despite the efforts by some GOP lawmakers to block the expansion, Kasich unilaterally secured the federal funds — which will be used to provide coverage to up to 275,000 low income Ohioans — through a manuever that could face conservative legal challenges. But, first, here my take: I was in Malaysia this week and I expected a volley of complaints. The country was one of the stops on President Obama’s planned trip to Asia this month that was canceled because of Washington’s manufactured budget crisis. The country’s Prime Minister Najib Razak told me, We were disappointed, but we understood the situation. Others were less diplomatic, pointing to the cancellation as evidence of America’s dysfunctional political system and general decline. But many in Malaysia and across Southeast Asia told me that they were mostly puzzling not about what’s happening in Washington but rather in Beijing. It is part of the party’s “mass-line” campaign, designed to address concerns that the party is out of touch, elitist and corrupt. “There is so much corruption in China that whom you choose to prosecute is really a political decision.” Those are the words of a Beijing businessman to me. More surprisingly to many, the new leadership has begun a sweeping crackdown on dissent. Chinese media and human rights groups say that hundreds of journalists, bloggers and intellectuals have been detained since August, charged with the crime of “spreading rumors” among others. Instead, it appears that the Communist Party is choosing older, Mao-era methods’ crackdowns, public confessions and purification campaigns. Diplomats have worried that China has been circulating new maps of the region in which a previously dotted line demarcating Beijing’s claims in the South China Sea now appears as a solid line. Last month, China’s foreign minister denied any such change in its claims when he was publicly asked about it at a Brookings Institution forum by the former U.S. Defense Secretary William Cohen. Yet, the concerns highlight the nervousness felt in the region. Bill Maher “Now, when it comes to raising the minimum wage, conservatives always say it’s a non-starter because it cuts into profits. Well yea, of course, paying workers is one of those unfortunate expenses of running a business. You know, like taxes, or making a product. If you want to get rich with a tax free enterprise that sells nothing, start a church. When did the American dream become this pathway to indentured servitude? This economic death spiral where workers get paid next to nothing, so they can only afford to buy next to nothing, so businesses are forced to sell cheaper and cheaper stuff. Walmart employees can only afford to shop at Walmart. McDonald’s workers can only afford to eat at McDonald’s and Hooters waitresses have to wear shirts have to wear shirts they grew out of years ago. 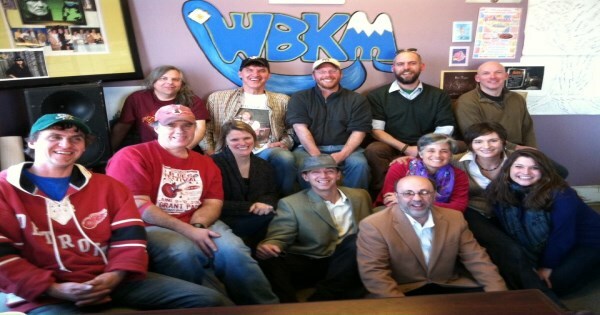 I just got back from internet radio show number 34 on WBKM.ORG. I’m assuming you all turned down the sound on the world series to listen in. If not, the archived copy of the show will be available sometime. I played a set of shimmering songs and opened with an Orion, and the coming of winter, theme. The tagline for Stylus is: I don’t mind the cold, Orion…..
From our small city to the great big world, these are the Sounds of Burlington. It’s been a chilly day, and it’s a cold night here in the Champlain Valley. Winter is coming and it’s the time of Orion to light the sky. This is a song called Stylus of Id by a band called Somah on WBKM, and they are Burlington’s kind of music. Sean Toohey and Matt Hutton are such great songwriters and performers and have played lots of great music in Burlington. With a line like, you can stop at the costume shop, I though it was an appropriate song to play, since Halloween is next week. Definitely tune in, I have a cool show lined up for Halloween, which is next Thursday. I’ve got some great dark local music, and I think, a special guest. Wide Wail were stunning at times and rocked this town hard. Somah have lots of great songs, and this one always reminds me of this time of year. Next up is, essentially, the tile song of Alice Austin‘s To A Star In The Yard. It’s the second song on the album and I will work my way through the full disc, over the next several weeks. The Bees came back from Texas for the summer, but haven’t played too much. Hopefully they will play a show or two before they go back. Dave is in Texas, and when he comes back to New York, I hope he writes more great songs like Sunflower. Peg can be regal and majestic, but at times she can just rock. This is one of those times. Alice rocks too and was such a huge part of the Burlington music scene for so many years. Next up, let’s play some blues, St Albans style. I love the huge swell in Breathing. Matilda is so shimmering and cool and sounded great coming out of River. Hmmm Farm. OK, it’s almost time to go. I should grab another drink. I loved the way the chaos at the end of the Lendway song mixed into the chaos of the Space beginning. Great Rock from Francis. Great harmonies from Lendway. Great song by Will. I hope you enjoyed checking out the music of our town. Let’s do it again next week, shall we?